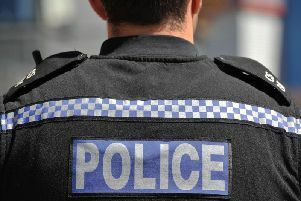 A Warwickshire Police officer has been sacked after being convicted of harassment against a woman. Following a special case fast track hearing held on Thursday May 18, Warwickshire Police officer Gary Bemowski, 47, was dismissed from the force with immediate effect for gross misconduct. The hearing was conducted by Chief Constable Martin Jelley and follows an investigation by the Professional Standards Department (PSD). Between October 2015 and December 2015, PC Bemowski undertook a course of harassment against a woman by means of emails, phone calls, text messages and cards, which resulted in PC Bemowski being convicted of harassment at Hereford Magistrates Court on 27 February 2017. The hearing found that PC Bemowski breached the standards of professional behaviour, in particular those relating to discreditable conduct. PC Bemowski had completed 11 years of service with Warwickshire Police, most recently based at Bedworth.